R+R Architects draw on a good understanding of architectural history and apply tried and tested design principles to deliver well resolved build projects that make good quality references to past movements. 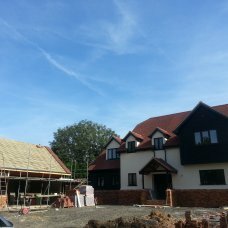 Examples of projects covered are; New Build Houses, Large Scale Refurbishments and One Off Architectural Projects. Some of the most exciting development we have at R+R Architects look to fuse historic architectural movements with modern day requirements and technologies. We believe that proportion, rhythm, decoration, theatre and drama still have a place in architecture. All these work are carried out under the RIBA Plan of Work 2013 and a full range of services is strongly advised to enable R+R Architects to deliver a fully refined and resolved scheme.